I live in Minnesota, had my fence cedar fence installed November 2018. It is now almost May 2019 and the snow is finally gone. Do I need to prep my fence before staining? Also, according to your calculations, do I need 30 gallons? 250' by 6ft. Yes on prep. About 25-30 gallons for the two coats applied wet on wet. Rough sawn pine or cedar (not sure) less than 10 years old. Previously stained with TWP cedar tone, and would like to re-coat with the same. 9 years old. Preserved spruce. Wood has shrunk quite a bit - I think the preservative had not completely dried when we purchased the wood - but it good shape. Some cupping. Has not been stained. Covered deck except on edges it has got rain and snow. I want to freshen the look as it is quite grey and preserve what I have. What product is best and do I need to do the wood brightener before the stain? And finally, can I buy in Canada (northern Alberta) and if so, where or do I order directly from you? I own a "log-look" pine home that is in desperate need of re-staining. I have used your 1500 product, using the wet on wet method, on my deck. I am told that my homes vertical surfaces would only require a single coat. Keeping in mind that the southern exposure surfaces are in the worst shape while the surfaces under cover are in relatively good shape, do you concur with the contractor's recommendation of 1 coat or do you recommend two "wet-on-wet" coats? Thanks. 2 coats applied wet on wet is best. We have a 15 year old pressure treated lumber deck that we stain every other year. 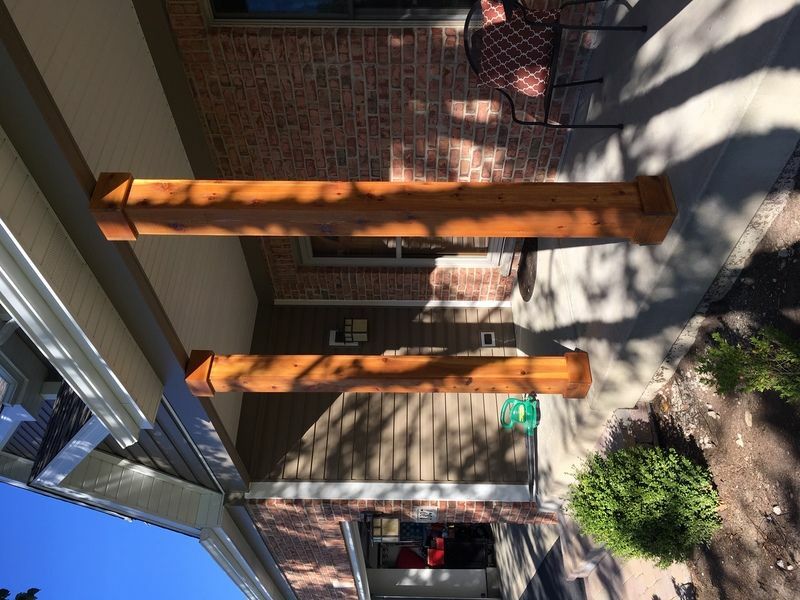 In the summer of 2017, we applied the TWP 1500 (Dark Oak) stain with success. 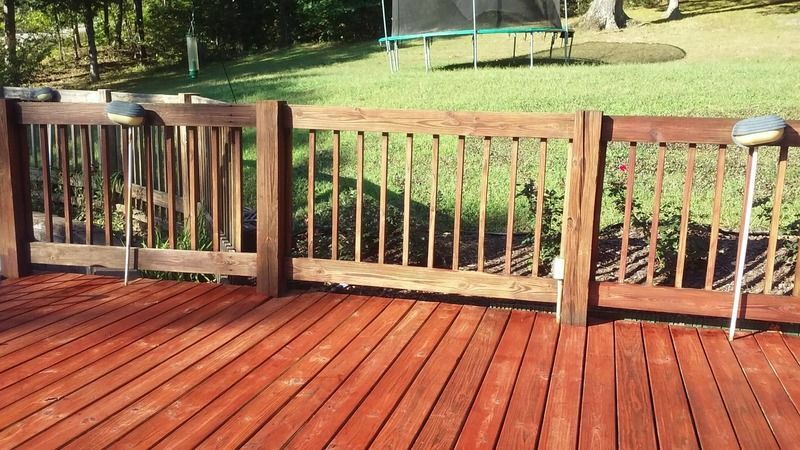 We'd like to stain it again this spring (2019), and wondered if it is ok to apply the new stain over the old stain after pressure washing it? That will prep correctly for reapplication. 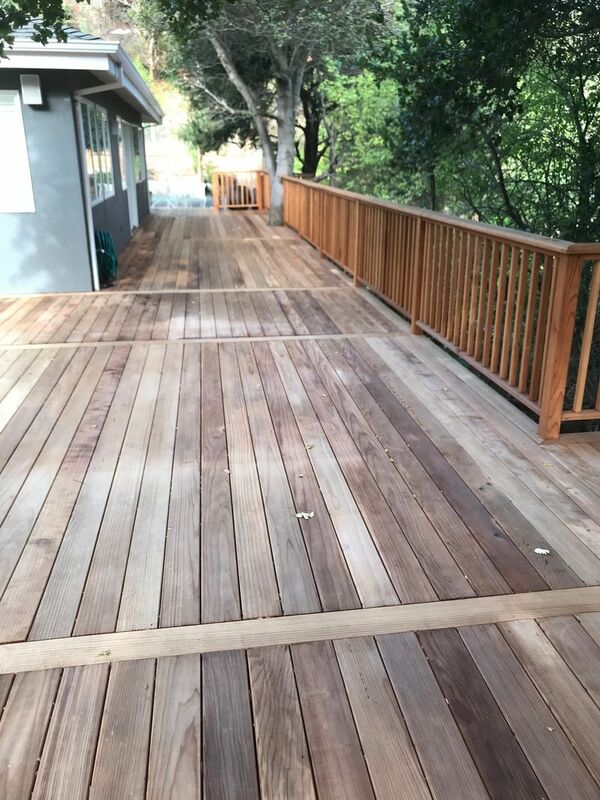 We are planning to clean, brighten and stain the Cedar deck this Spring which was installed July 2018 in Pennsylvania. 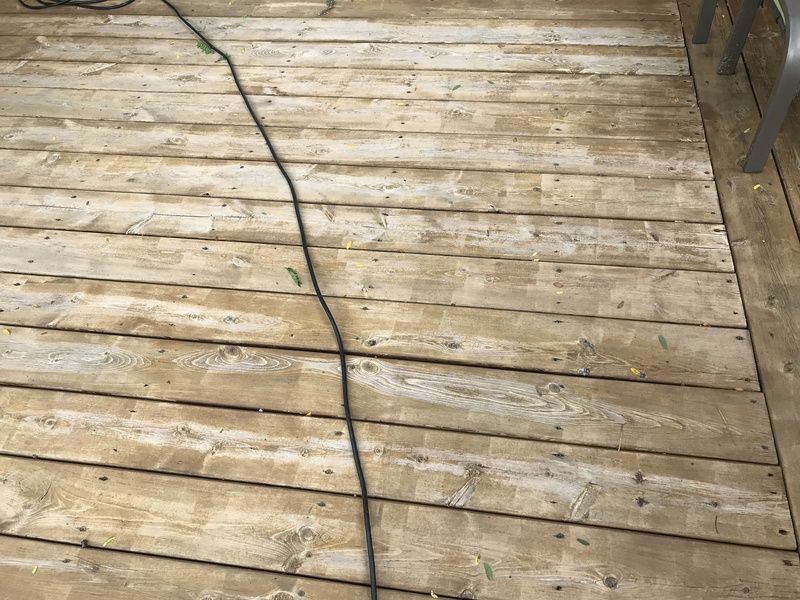 Do we use the pressure washer to clean the deck and how is the Brightener applied to the deck? Will the products do anything to the iron black rails? Use the kit while pressure washing. Test the black rails first. Typically no issues but there are many different brands out there and they are not all made the same. I’m building a house in north Georgia using exterior pine board and batten. What product is best for a new build that will last 7-8 years before having to restain? I'm waiting to apply TWP 1500 to my new pressure treated deck. Is there a similar TWP product that reduces a slip/fall risk? TWP 1500 is a penetrating stain. It does not create a film on top of the wood that would make the wood slippery. I am restaining my deck stairs and landings (uncovered with mid to late afternoon sun) and my front porch deck (covered with morning to mid afternoon sun). I live in the lowcountry of Charleston with marshland nearby. The existing stain (6 sixs old) I suspect to be an oil based Sherwin Williams deck stain product. When I used a rag soaked with denatured alcohol on a portion of the stain, some of the stain came off on the rag, but not much. Oil based, right? Would the 1500 be something I can use in these circumstances? If so, please fill me in on any specific things my contractor needs to do. THANK YOU! Hello, you must remove the current coating when switching brands of stain. The TWP cannot be applied over this. Please post a picture so we can determine the proper way to remove. You cannot paint over with a paint. Can you post a picture? Thanks for the quick reply - attached are my photos - I just finished these yesterday and its colder here in Chicago (40-55 temps) so the stain is also a little damp even though I back brushed with a dry foam brush. 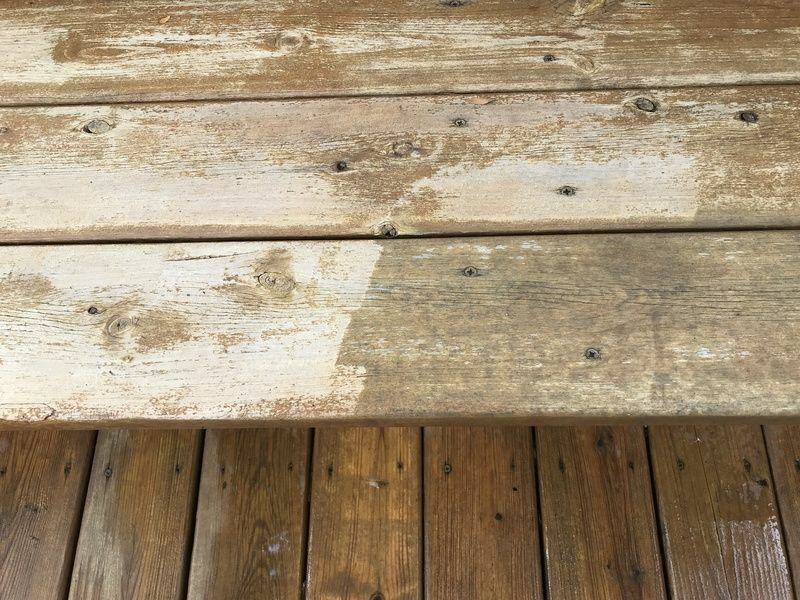 Would it be possible to re-apply TWP darker stain in spring/summer? Yes, wait until Spring. Light wash and then try the Dark Oak or Black Walnut colors. I have a new clear heart redwood deck. It was installed 6 months ago and is ready for staining. It was cleaned with a pressure washer but required some sanding and scrubbing in small areas where there were stains or paint spray codes from the mill. These areas are somewhat lighter in color. Will the TWP 1500 stain differently in the lighter areas? If so is there a way to make the final finish uniformed in color? I live in the San Francisco Bay area. Is there local dealer who carries your products? We are an online dealer for TWP only. Once removed, apply 1 coat of the TWP 1500 Series. I have a 40 year old home with clear cedar vertical siding. It has been power washed and coated with clear FLOOD CWF. It needs a new coat as the last application was over 4 years ago. 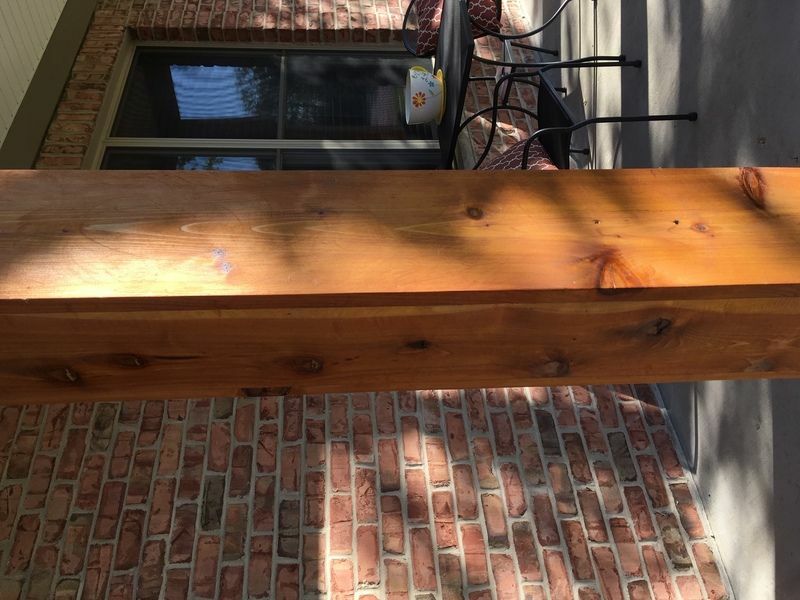 Is TWP 1500 the proper product for this wood and does it come in clear coat? I live in West Virginia. Thank you for any information you can provide. The TWP cannot be applied over the Flood. That would have to removed first. Once removed you can use the TWP. Which product is better? 100 or 1500? They are both excellent without one being better than the other. 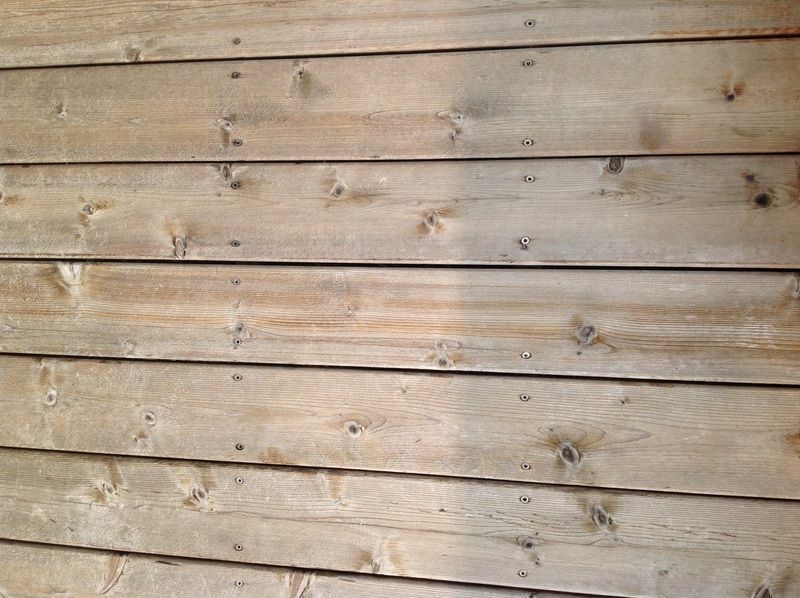 How soon can I stain a new kiln dried pine wood barn? And how much do I need for a 28 x 18 barn and how do I prep the wood? I live in North Central PA. Thinking about purchasing the 1500 series. We would need a total sq footage of all the sides to help with the amount needed. 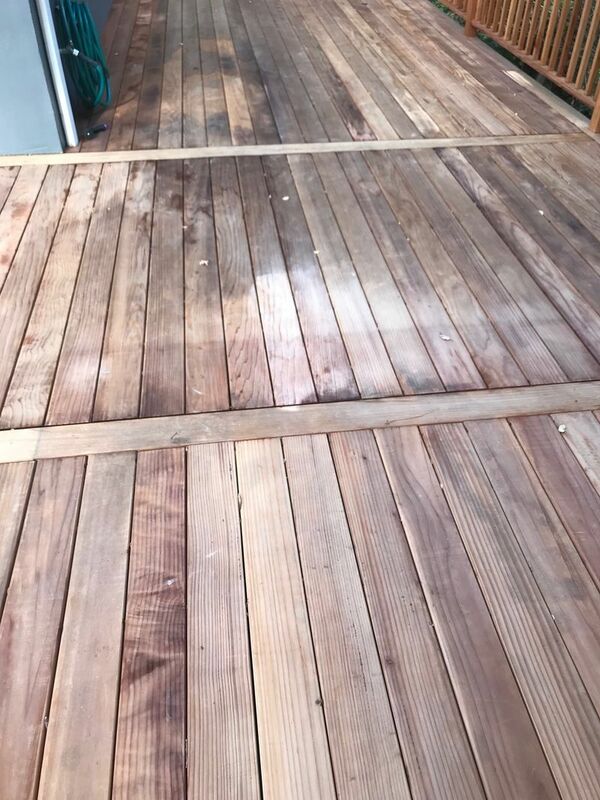 I just stained my deck with TWP 1500, rustic color. The rails are quite old, and the floor is a few years old. I cleaned and brightened everything well with Deck Restore before staining. The rails came out a warm brown, the floor is definitely reddish. Why two colors? If I put another coat on the rails, will it help the color match? Color will vary based on wood age and type. Another coat should help. 1. 3-4 years, 2. Western red cedar, 3. Good to excellent 4. Stained with penefin (spelling) at time of install 5. 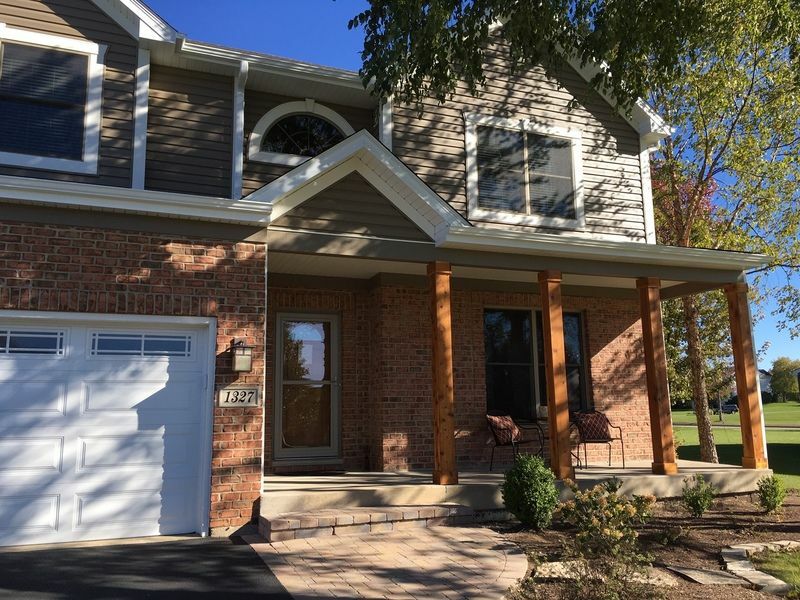 Two areas: a) porch covered by deck above, still open to weather, gets morning sun; b) small deck with attached ramp handicap accessible, open to weather, gets afternoon sun. Located on coast of Maine. Within a year to year and a half was not happy with wear of penefin. Did a gentle wash with household soap and water on porch a. Retained some repelling factors, but still dirty and losing color with some darkening. Just cleaned both areas with Mold Armor E-Z deck, fence, and patio cleaner. After rinsing with power washer, brushed with corn broom which helped remove stubborn dirt, but also removed what I believe to be remains of stain (it was gummy). Will it be okay to proceed with TWP 1500? I want to prevent graying and still see grain and color of the natural wood. You are good with the prep to proceed with the TWP 1500 Series. I re-applied some TWP 1500 last summer. 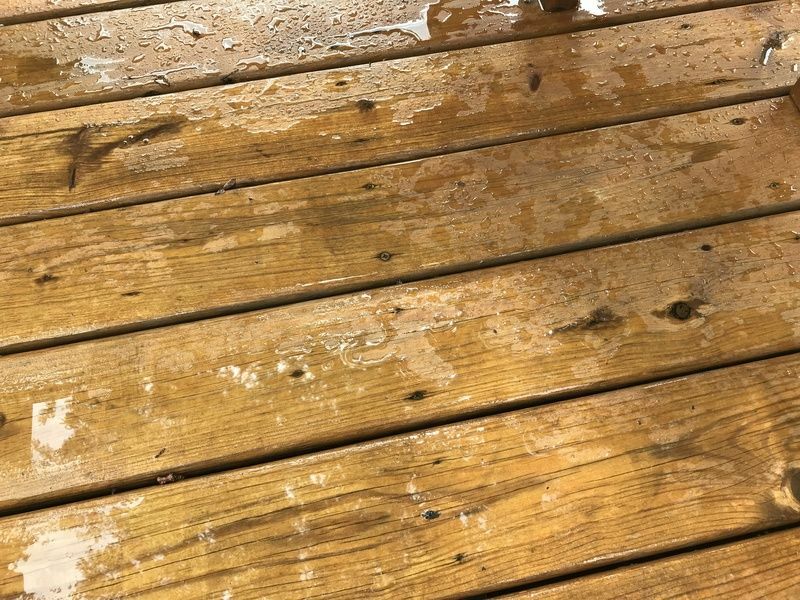 I recently powerwashed my deck and it appears that much of the stain has been removed. I have attached some pictures of the before and after and how the wood looks now. I suspect that I may have overapplied the stain last year and this contributed to the stain not properly penetrating and washing away. However, water still does seem to bead up even after the powerwashing. How should I properly prep it in order to stain it again? Am I OK just to clean and brighten before staining again? 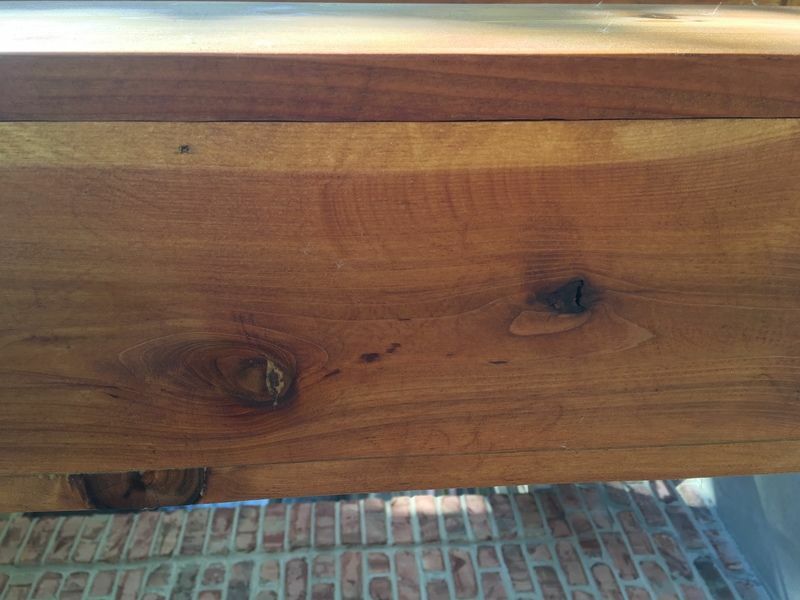 Do I need to do anything else to ensure that the stain properly penetrates the wood besides not to overapply? 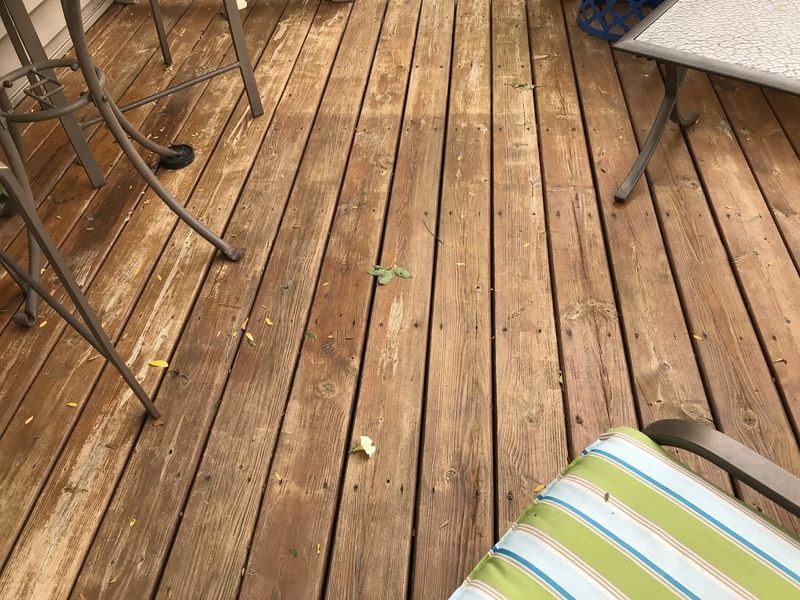 It would be best to use the Restore A Deck Stripper and Brightener kit so you start will clean and unstained wood. OK - if you think that is the best option I may go ahead and do that. Do you think the issue was overapplying it last year? Maybe I should not have powerwashed it and just used the cleaner and scrubbed it with a brush before applying a maintenance coat? Probably was due to over application and the way you prepped. Easy to remove though and start over.